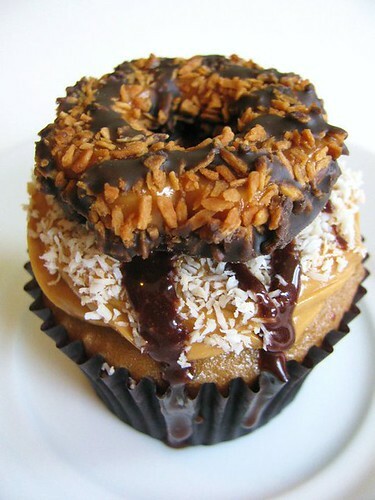 I think I might have to place an order of the Samoa cupcakes when they are available - they look so tempting! These are both by the very creative Man Bakes Cake, who does custom cupcakes in New York City, via their Facebook page, where you can contact them about orders. The Samoa cupcakes are coming soon. 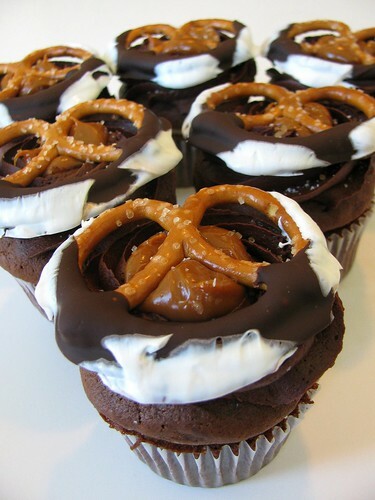 I'm a big fan of other desserts on top of cupcakes...the bets of both worlds, whether you're bold enough to try to bite in and eat them both at once or pull the cookie (or whatever other concoction) off and do one bite of each at a time.